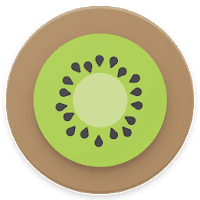 Kiwi UI Icon Pack the theme inspired by the new Google operating system, Lollipop 5.0. Designed on the guidelines of Android, Kiwi UI using the colors palette of Lollipop and the new Material design for seamless integration with your new OS. A great icon pack that will complete the integration of your new Material device !